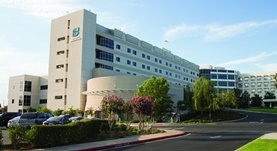 Certified in medical oncology and hematology, Dr. Dina Ibrahim is well-known in Fresno, California for her experience. She got her medical degree from Damascus University Faculty of Medicine and did two residencies one at Huron Hospital - Cleveland Clinic and the second one at Wayne State University School of Medicine, where she also completed her fellowship. She has over 20 years of experience and is currently affiliated with Saint Agnes Medical Center.